This post goes out to all the brides and event planners out there. 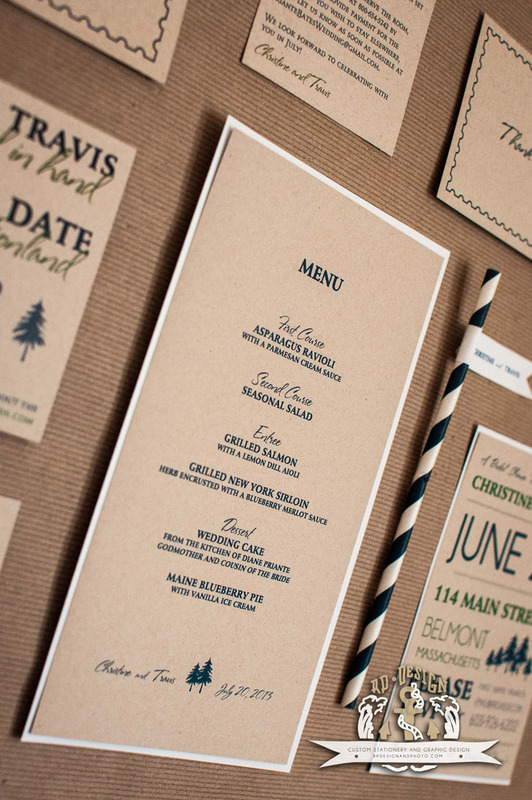 I'd like to formally introduce you to my very own custom wedding stationery essentials line! 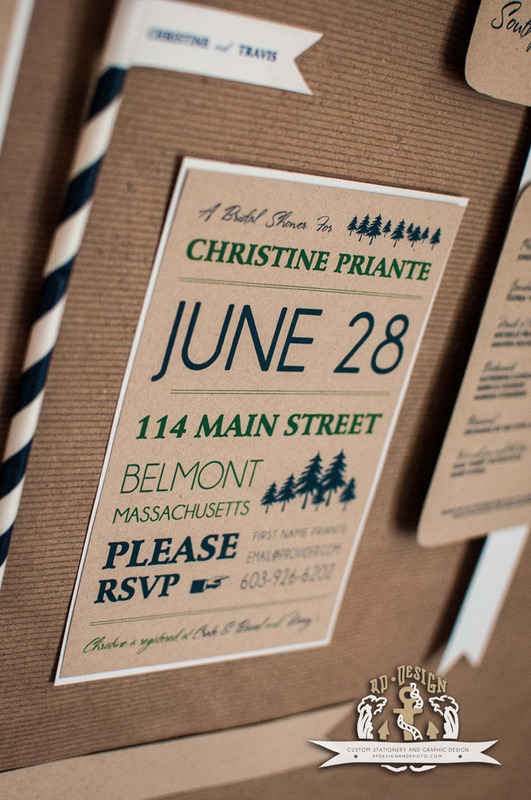 Consider this your one stop shop for all things design that you may need leading up to the big day. Do you know a few styles you like and have some ideas of your own but just not sure how to make it happen? I'll make it happen for you. And we'll get everything out on time! We will begin with setting the theme in your Save the Date. After I send you a design proof we can talk through any minor edits you may have and then we will seek approval for a final design. With this final Save the Date design, I will mold each additional print piece from it, within any special guidelines you may also have. While this design package does not include printing, I am also more than happy to offer printing guidance. 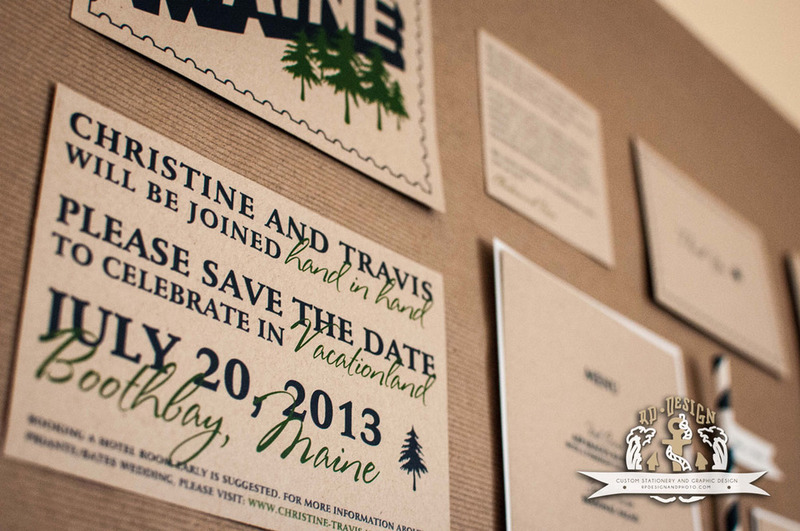 Take a look at my vintage Maine mini-destination wedding package below. Christine, the bride, had a unique rustic vision and she gave it to me and let me run with it. She was able to pair my custom design kit with her formal wedding invitations (not included) and we successfully created a fully branded wedding communications package. With a few custom graphics and a licensed font kit, the vision is seamlessly carried throughout, while still giving each individual printed piece it's own special look and feel. Head over to my Etsy shop and take a look at some of the packages I offer. You too could have your very own completely custom, fully branded wedding!